Freelance Floral Designer or Flower Shop? Having worked and managed a floral boutique and now running my own freelance design business, today I share my unique perspective regarding this subject. Being a perfectionist, I confess that I am constantly fixating over projects with the ultimate goal of surpassing a client’s expectations. This can certainly be a challenge in a traditional flower shop environment. So many things come up over the course of a day: processing incoming flowers and scrutinizing for accuracy and quality, producing the day’s orders for delivery and pickup, meeting with clients, handling staffing issues, developing marketing ideas, and the list goes on and on. During my time in a flower boutique, it was common on a Friday afternoon to be working on several funerals, several weddings and daily orders, all for Saturday delivery. Of course, there were a few hands on deck for support, but that’s a lot of chaos. This is the beauty and the challenge of a traditional shop. As a client, you should never know about all that we juggle. But you cannot appreciate the job your designer does, without understanding all that goes on behind the scenes. Having participated in that side of the business, I decided to focus on what I enjoy most: working with individual clients on their special events. The level of service I can provide doesn’t compare to what I was able to provide in my former life. I strive to reply to inquiries and provide estimates promptly. I know you don’t want to wait, so I research and brainstorm and get back with you—in this lifetime. By allowing myself dedicated time to focus solely on your project, the design is ultimately better and more creative than simply “taking your order” and providing an estimate. The overall attention to detail is by far greater. If you know exactly what you want, great; I am happy to help. I might ask some questions and make some additional suggestions; given that you are hiring a professional to do the job, I owe that to you. Secondly—I am honest with you. I’m not saying that others fib, I’m simply saying that in their efforts to please you and earn your business, sometimes designers agree to things that aren’t the most realistic. I prefer to be as open and honest as possible; yes it’s a risk and I may not earn your business, but my goal is to EARN your business, and to do that, I must be honest. Finally, as much as I enjoyed the “flower shop” environment, one major challenge I experienced working in a shop that produced a lot of wire service (or internet orders) was being put in a box to reproduce things that people select online. For a creative designer, this can be extremely restrictive, given that so much of what is seen online is generic round arrangements. Doing this type of work day after day can condition a person to default to this style and unfortunately, you, the client, lose. We can do so much better for you if given the chance. I want to reiterate that this is my experience; not all traditional flower shops and designers are like this and what I described is not a bad thing. 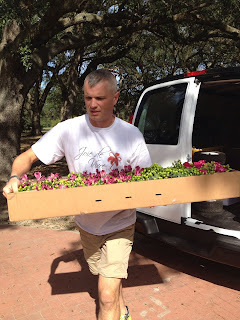 I am so very grateful for the opportunities given to me in the flower shop environment. I learned so much and met so many wonderful people. I started Joie de Vivre so that I could focus specifically on events and provide my clients the level of service and creativity I know that I am capable of providing. 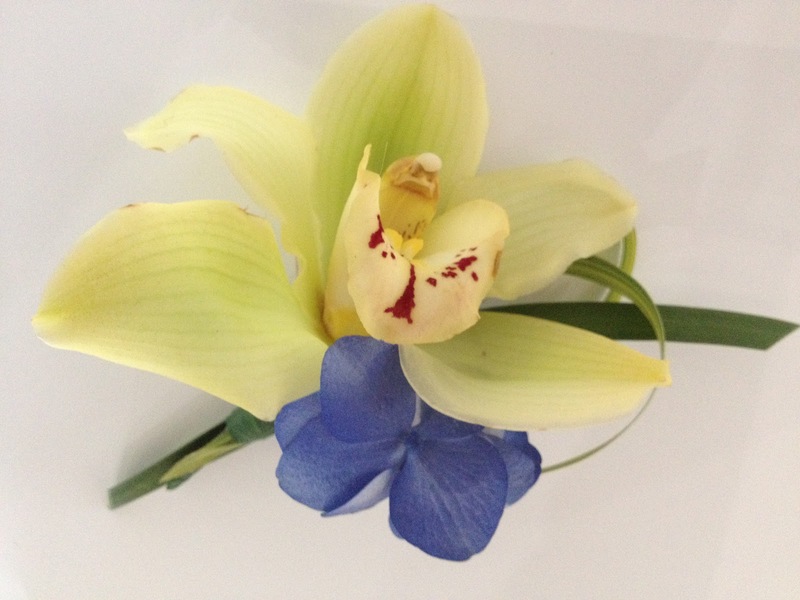 When many of us think about event flowers, we simply think about what we want the finished product to look like. Of course we do, that is the bottom line. We never really think about how that finished product will get to the venue in pristine condition, keeping in mind that we live in the land of the pothole. That is the responsibility of the professional, yes, but credit should be passed on to that wonderful team that helps to make it happen. 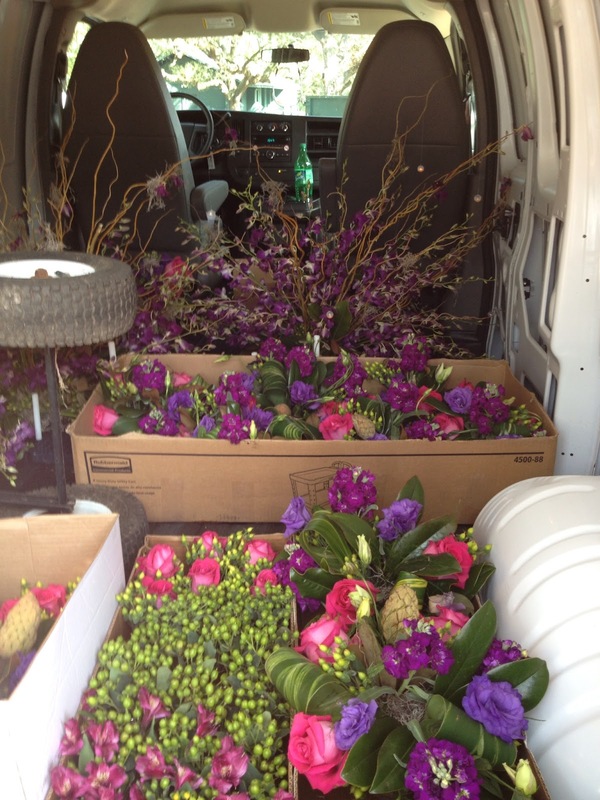 I swear, loading a delivery van should never be underestimated when planning an event. Often times, delivery and setup can be the most stressful part. Always allow enough time to get it done (and keep the AC running). Loading a van with numerous arrangements varying in size from huge to tiny is like building a puzzle; sometimes you have to shift and rearrange and try again. They must be stable so when you hit that pothole you were trying to avoid, your flowers don't tumble down. When you have numerous table pieces, how will you unload them at the venue when you have only an hour to set up? Yes a cart is a lifesaver, but it takes up precious cargo room. Being a person that likes to do everything herself, this is a time when you must entrust a team of reliable workers. Without a cohesive team that is quick on their feet, I’d be lost. I am so lucky to have a few key people that I completely trust in getting a job done professionally and efficiently. You know who you are, so thank you! My bride eloped Saturday at the Column’s Hotel in New Orleans. What a romantic spot for that special day! I was honored to be the one providing her flowers. She told me that she wanted a strong contrast of bright blue and ivory with accents of green. 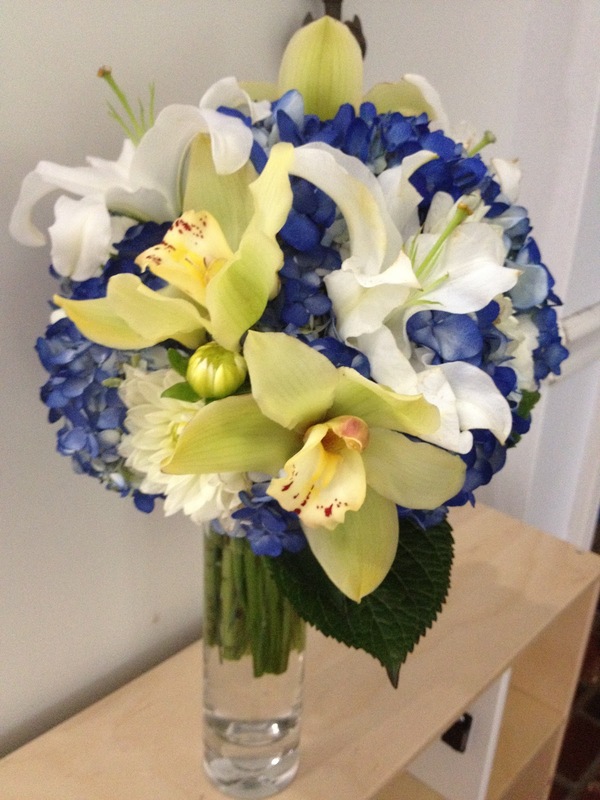 Of course, we utilized vibrant hydrangea for the blue and exotic cymbidiums for the green accent. For the white tones, we added fragrant lilies (I checked—no allergies here), dahlias and ranunculas. The result, a stunning combination. I wish I could have stayed for the ceremony. You plan these wedding flowers for so long-- you think about them, you dream about them, you stress about them. Whether it’s large or small, when that magical day finally arrives, you just want to see your bride walk down that aisle and have her fairy tale moment! We’re finally settling in to our new life in Louisiana. Of course we miss parts of our former life in North Bend. We lived in a magical place—the river, the mountains, the snow, the wildflowers—thinking of it now is like a dream. Of course I miss it at times, but then I think of all that wonderful vitamin d I get just about every day in this tropical paradise just a short drive from New Orleans. 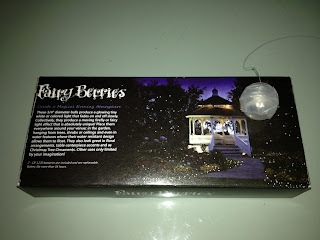 Then, I look at the cool flowers and foliage can grow here. Oh my goodness. This girl could only dream of growing these successfully in the shadow of a mountain in the Pacific Northwest. Here are a couple of my favorites. Our final expedition on our family vacation proved to be the climax of the trip, in the floral department, that is. While leisurely perusing a gardening magazine in Scotland, an ad for Kew Gardens grabbed my attention. This ad was the catalyst for changing our itinerary to spend a few days in London before returning home to Louisiana. The ad was titled An Explosion of Color: Ignite your senses at Kew’s Tropical Extravaganza. Discover amazing floral displays inspired by fire, air, water and earth. Couple that text with a splashy tropical graphic and this fish was hooked. This is one case where words simply aren’t enough to describe the beauty we experienced at Kew Gardens. I’ll let the pictures tell the story. One advantage of being a freelance floral designer is that I bypass that craziness known to the public as Valentine's Day. Believe me, having managed a floral boutique, I can say, been there, done that. Analyzing previous sales, planning the massive floral purchase to cover all customer orders, organizing the staffing, processing the shipment (just think all those lovely roses you receive do not have thorns), those are just some of the things I faced leading up to that chaotic day. Now the chaos, organized as it was, proved to be exciting, but let's just say planning and designing floral creations for events is better. Today I had the pleasure of touring Edinburgh's Royal Botanical Gardens. You say February in Scotland can't be that exciting in a botanical garden; I say-- think again. I can only imagine how lovely the garden will be in a few months; signs of spring were at every turn. Whether it be the delicate snowdrops in bloom or the bulbs just emerging or perhaps the early blooming rhododendrons just starting to show color, if you take a close look, you know that spring is on her way. I must confess; however, the real showstoppers lived in the glass houses. As we toured these vast collections, we observed plants from around the globe and what an experience it was. I hope you enjoy a few of the highlights. Being from South Louisiana and having lived in the alluring city of New Orleans for many years, we recently decided that is was time to say goodbye to Seattle and venture home. So Covington is now the place we’re planting our flowers and I’m so happy to be here just a hop skip and jump from my beloved city. 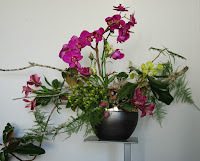 I am serious about floral design and I am serious about taking care of you, the client. I choose the studio mode, because after working in a traditional shop for years, I knew that I was a floral entrepreneur at heart, but the retail format wasn’t for me. I wanted to focus on events and let’s face it, you don’t need a storefront to produce beautiful works of floral art; you need: a license, a cooler, supplies, dedicated space and let’s not forget the big one--talent. It’s a smart idea, and given the economy, it’s a practical idea that is much less risky. The opportunity for longevity is by far greater with the studio model. Most importantly, the client wins. 1. 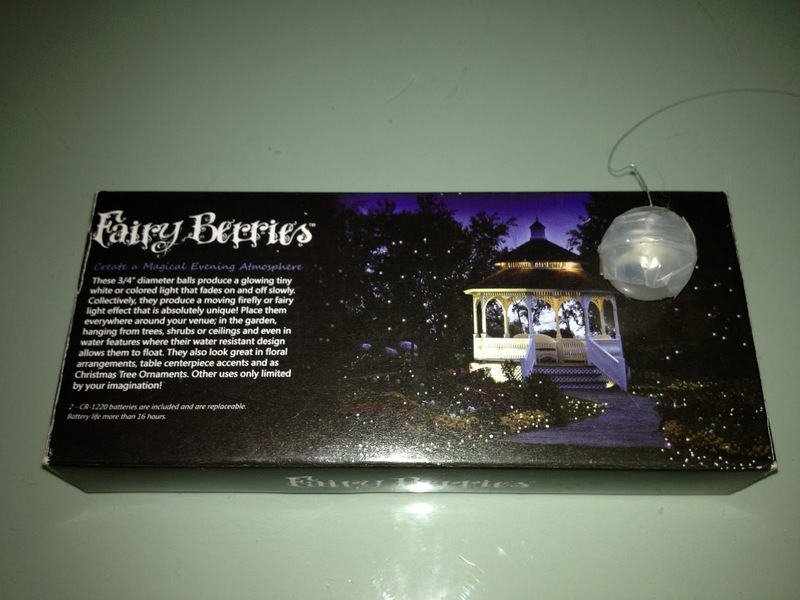 You really get the freshest possible product--purchased specifically for you (no shop surplus here). 2. More time for you--events-only business means we're not swamped with everyday orders, distracting us from your event. We can focus on the most creative and appropriate one of a kind designs for you (no wire services here). 3. Savings--because we lack the overhead associated with traditional flower shops, we are able to transfer the savings to you. Flower shops may sometimes scoff at us designers that opt-out of the traditional storefront mode of business. It’s probably because these Basement Betties (as many professionals refer to them) simply have no real floral education and flower shop experience. Just a little about me: floral design is my passion. In addition to having a degree from Loyola in communications, I studied at the Floral Design Institute in Seattle (now in Portland) and have taken classes in Vancouver and Seattle with famous designer, Hitomi Gilliam (in addition to managing a traditional flower shop for many years). Now that I am Louisiana, I’ve passed the LA Florist exam and have that wonderful license required by the state to legally sell cut flowers. If you still aren’t sold, take a look at my gallery. You will see variety and creativity. It is my hope after perusing my work, you will be inclined to schedule a consultation. 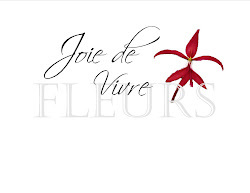 Whether you choose flowers to embellish your wedding, a special party or celebrate the life of a loved one, Joie de Vivre is blossoming here in Covington, Louisiana and we look forward to exceeding your expectations with flowers.